1. 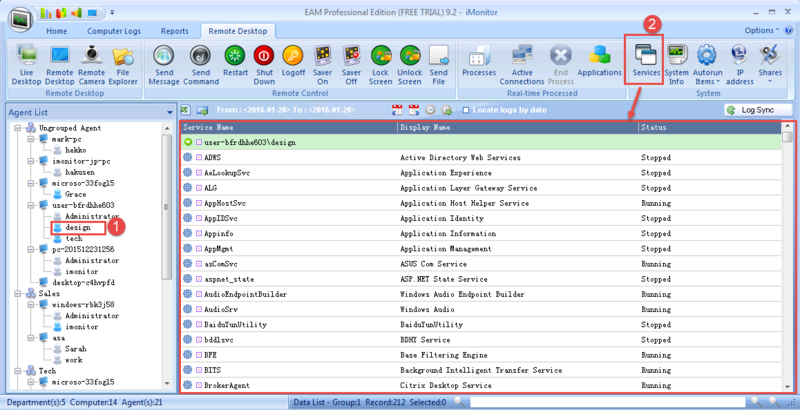 Select the user in the agent list. 2. Click "Services" to view all services on remote computer. Copyright © <2018> by <iMonitor Software>. All Rights Reserved.